It it someone’s birthday? 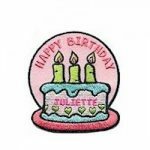 If so, celebrate and give each girl a Happy Birthday Patch! 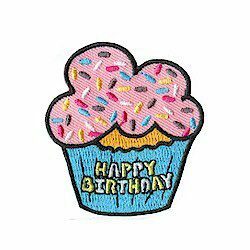 5 reviews for "Happy Birthday Patch"
My daisy troop girls are so excited for their birthdays to come around so they can “earn” this fun patch! These are great for the Girl Scouts. They are different ones than I found last year. Love this patch! Clear and bright colors and writing. Easy to attach. And my girls love getting them on their birthdays! Product is excellent quality. I called to ask a question before I placed my order online and the staff was professional, knowledgable and courteous. 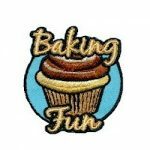 I came across this company on several Girl Scout blogs and it was raved about. Now I know why. I will definitely order all of our troops fun patches from here. So super cute! 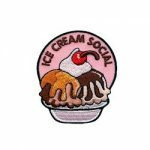 Our girls LOVED these sweet patches!